Can we ask you a serious question? Do you feel the need? If you are not sure what "need" we are referring to, then we should have a little lesson later about 80's movies (bring a notepad and some popcorn). . . But if you immediately answered "The need for SPEED! 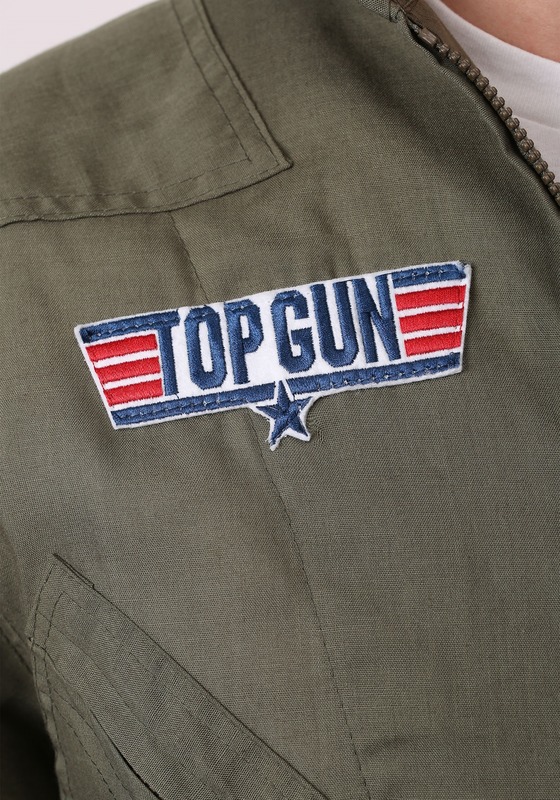 ", then you may be just who the Top Gun Naval Flying School is looking for! 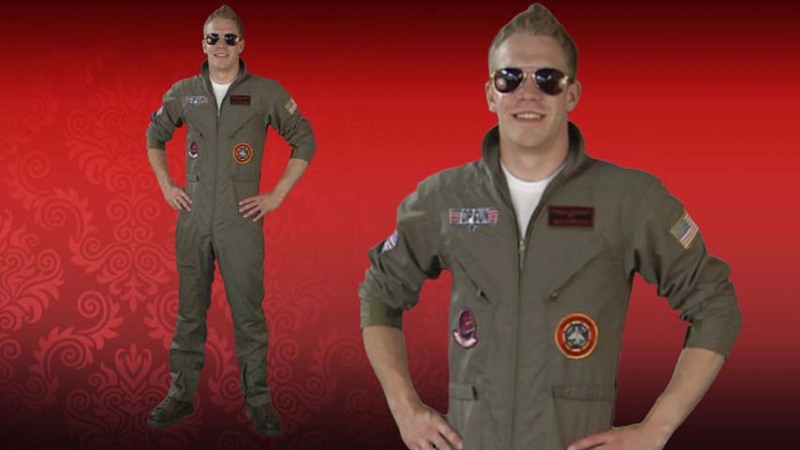 You won't be alone since the number of guys who joined the Navy hoping to become pilots supposedly jumped up by 500% after the movie Top Gun was released. Who could blame them? 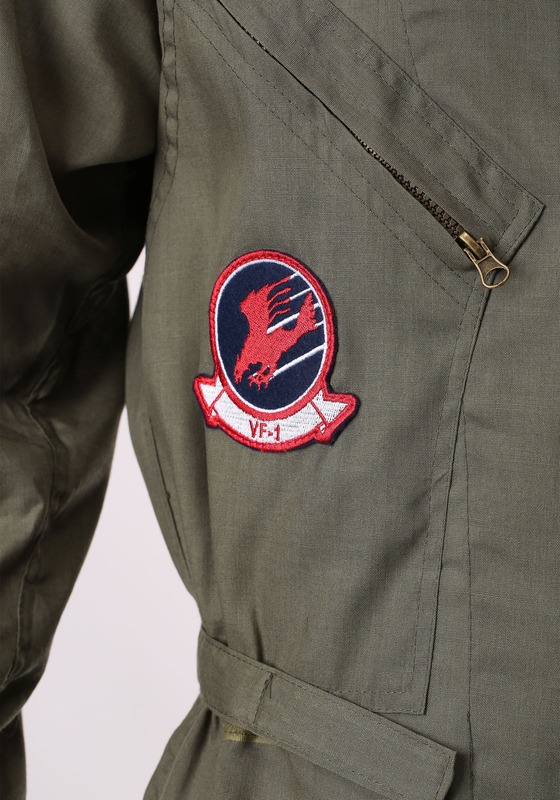 That is the one job where you are guaranteed to be able to pull off wearing leather bomber jackets and aviator sunglasses and you can buzz the tower in your F-14 even though your commander will get mad at you. But that's just part of living in the Danger Zone! Honestly, though, it takes a bit more than a rampant hunger for acceleration to become a fighter pilot. 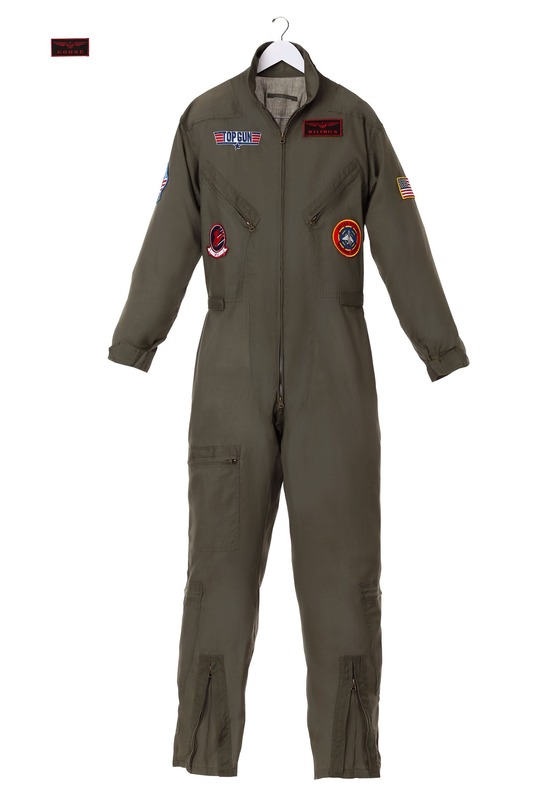 Luckily with this Men's Top Gun Flight Suit you can feel like you fly alongside Maverick and Iceman without actually going to flight school! 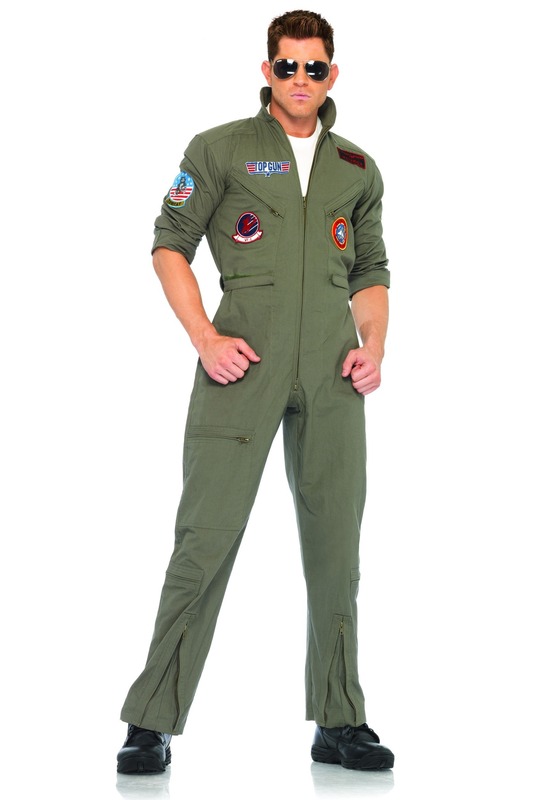 This officially licensed Top Gun costume looks like it was lifted right out of the iconic action movie and it even has attached replica patches that feature movie-accurate logos. We definitely recommend finding a pair of aviators to complete this look, but you were probably way ahead of us on that. So let us ask you again: Do you feel the need? Hopefully you're revving your imaginary engine emphatically at this point but just hold your horses until this jumpsuit gets to you. 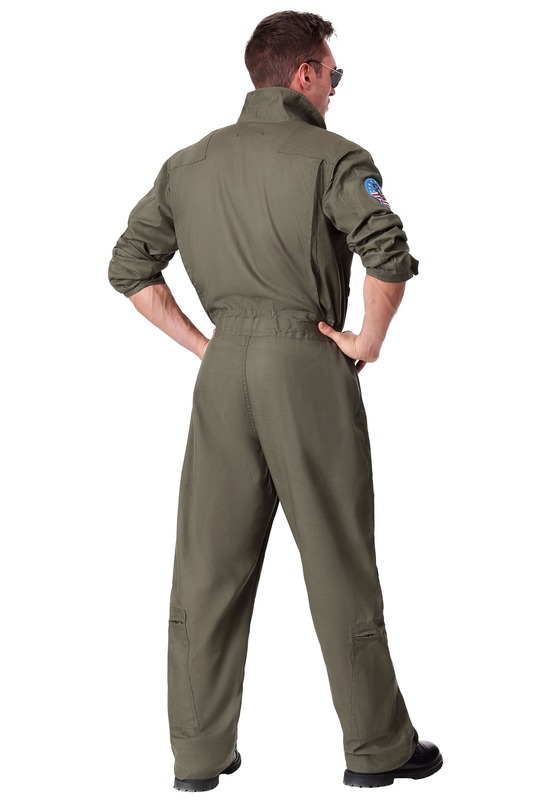 After that, everyone's sure to see you as the genius fighter pilot (aka the 80's classic aficionado) that you are!